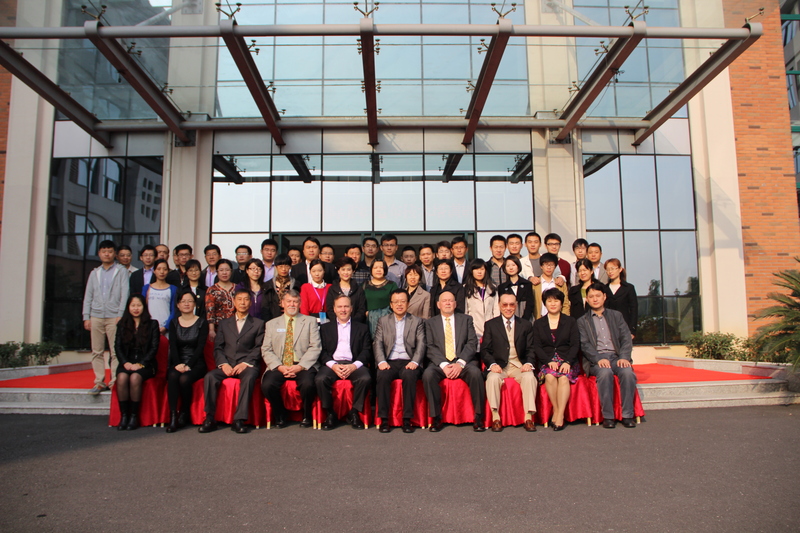 Cary, NC – November 22, 2013 – INDA, the Association of the Nonwoven Fabrics Industry, had a busy Fall in China advancing its global partnerships to enhance member access to new markets. INDA was a sponsor of the Asia-Pacific Nonwovens Symposium held October 22 in Shanghai. INDA President Dave Rousse delivered an opening welcome to the group and spoke individually with several of the Asia-based senior executives attending the Symposium from North American companies. The event was organized by RISI and WTiN. INDA’s strategic partner in China, CNITA, the China Nonwovens & Industrial Textiles Association, was also a sponsor and speaker. INDA had a presence at the Shanghai International Nonwovens Convention & Exposition, SINCE, in Shanghai. Rousse participated in the ribbon cutting ceremony and then walked the show floor with event organizer Wang Yangxi of CNTA Science & Technology Co. Ltd. INDA exhibited at the show with multiple Chinese firms desiring to learn more about INDA. Later that week, INDA co-organized with CNITA the China International Nonwovens Conference 2013 in the Chinese textile hub city of Shaoxing. 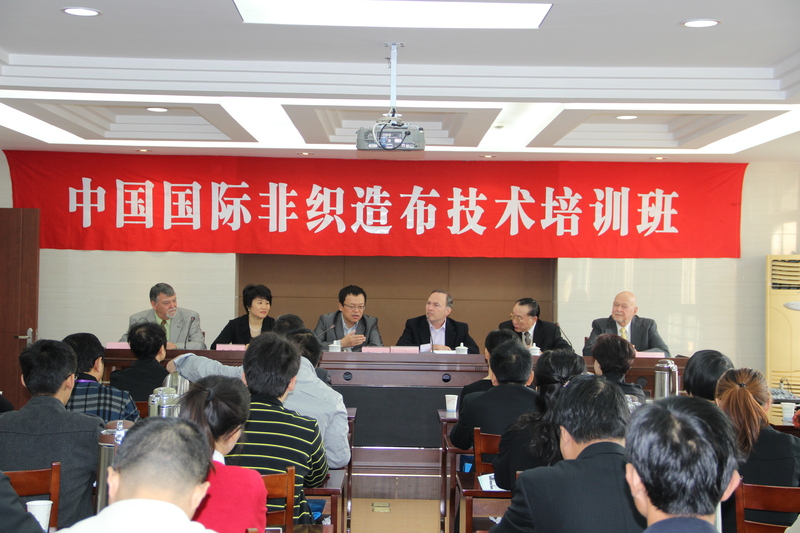 Over 230 Chinese nonwovens executives attended this event that included a report from Rousse on Worldwide Nonwoven Statistics & Trends. Li Lingshen, President of CNITA also spoke on The Development of the Nonwovens Industry in China. In addition, presentations were given by the leaders of EDANA, the European-based Nonwovens Association, the Taiwan Nonwoven Fabrics Industry Association, and the Association of the Nonwoven Fabrics Industry of Hong Kong. Formal dinners followed the Conference where relationships were further strengthened among INDA and the Asian associations. INDA and CNITA entered discussions on advancing the relationship to a strategic alliance with associate membership opportunities for certain Chinese nonwoven companies expressing interest in aligning with both associations. INDA then conducted a three-day Advanced Nonwovens Training Course for over 50 Chinese nonwovens attendees in Shaoxing. INDA instructors Steve Ogle, Technical Director of INDA, and Dr. Ed Vaughn, Professor Emeritus from Clemson University, conducted the course through an interpreter. Students were exposed to the various nonwoven production processes, raw materials, fabric samples, and end-uses of these versatile materials.